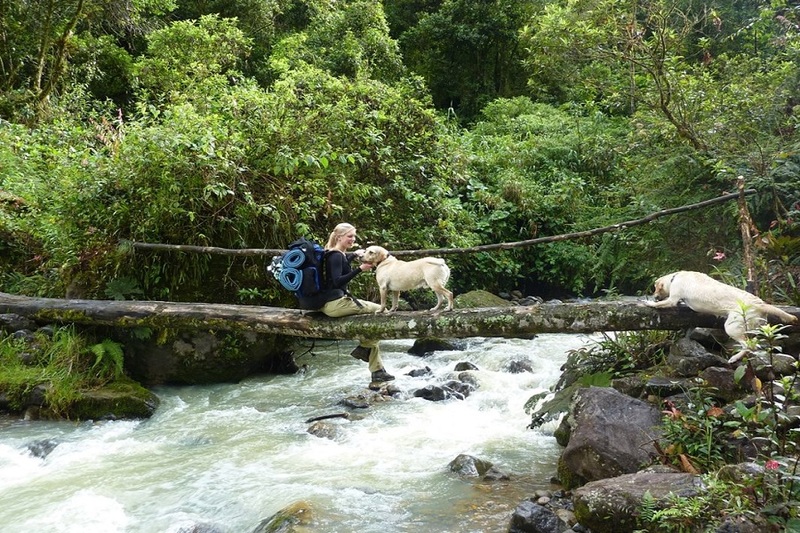 One of the many routes for nature lovers Ecuador provides is the Lloa – Mindo trail. This trail is a great remote hiking route, which takes you from the Andean humid high forest into the evergreen rain forest. This trek starts at the altitude of 3000 m (9842 ft) and descends to an altitude of 1200 m (3937 ft) with temperatures of 15 to 25 degrees Celsius (59 to 77 degrees Fahrenheit). The Rain Forest stretches over the slopes of Pichincha Volcano at altitudes from 4700 to 1400 meters (15500 to 4600 feet) and covers diverse ecosystems ranging from the cloud-high, treeless plateau called “Páramo“, through subtropical forests to the Amazonian tropical rain forest. Lloa-Mindo fits both, bird watchers and adventurous types. 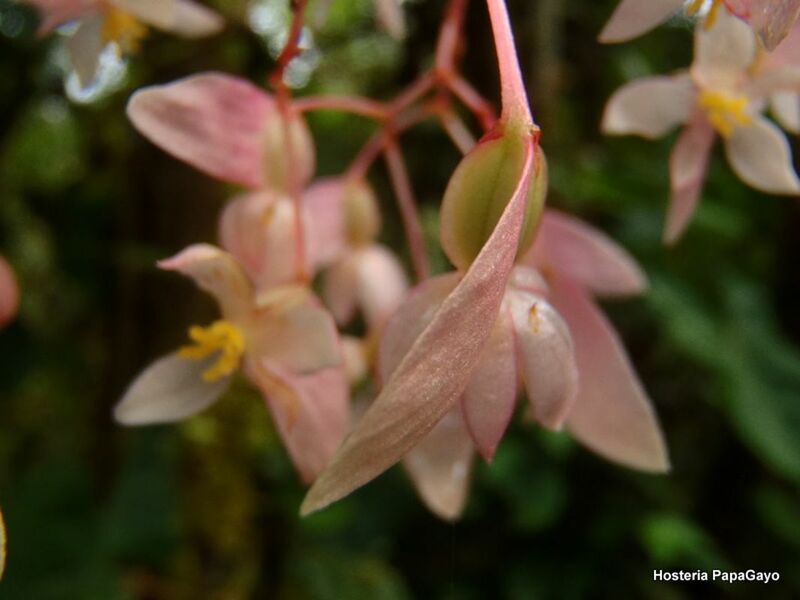 On this hike you will enjoy the views of great waterfalls, colorful orchid fields, rainforest with its wide range of plants, diverse types of butterflies, more than 500 species of birds and even big mammals like the black spectacle bear (Tremarctos ornatus). 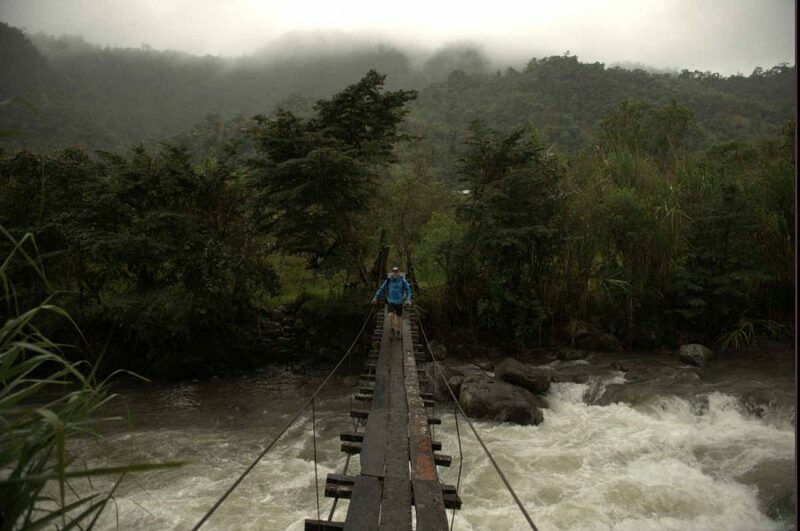 This trek will also challenge you by crossing rivers over narrow wooden bridges, bush walking, and passing the big river of Cinto on a small “Tarabita” (small cable car). We will spend the first night in a camping site near the river. On the second day we will arrive at the protected 48000-acre (19200 hectares) Mindo-Nambillo Reserve and stay the night close to the town. On the third day we will visit the high waterfalls where you can swim in the warm, crystal clear water. 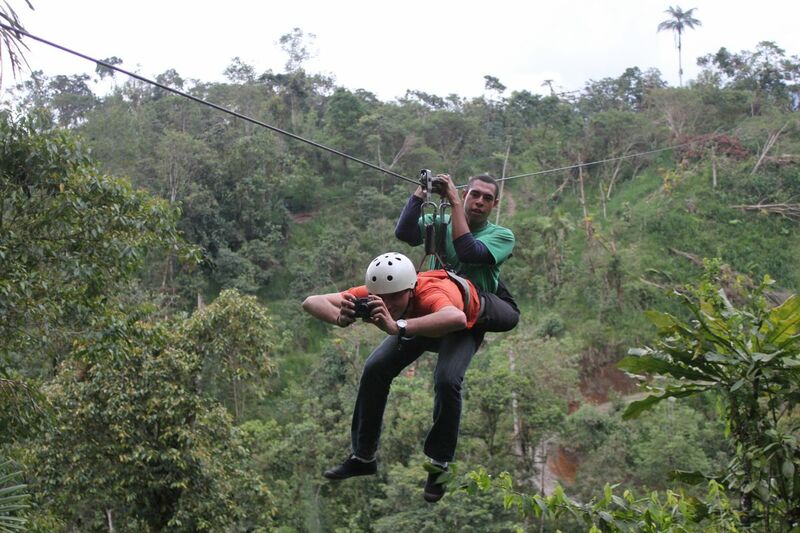 You will enjoy the opportunity to observe the rainforest from above by passing the 13 lines-huge canopy trail.